Product prices and availability are accurate as of 2019-04-02 10:23:03 EDT and are subject to change. Any price and availability information displayed on http://www.amazon.com/ at the time of purchase will apply to the purchase of this product. 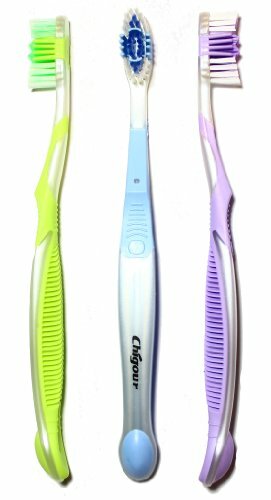 Providing superior plaque removal with sensitivity in mind, Chigour FullContact Soft Toothbrush is specifically engineered for sensitive teeth and gums for a cleaner, healthier, more beautiful smile. 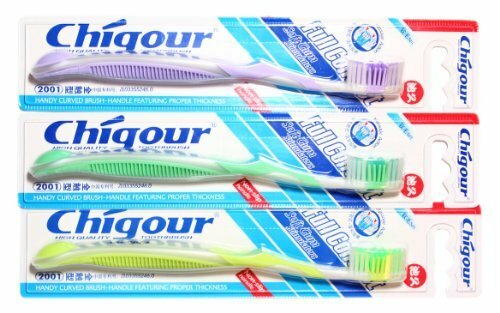 The Chigour FullContact Soft Toothbrush is built with high quality soft nylon bristle ( up to 28% softer than our medium toothbrush ) that protects teeth and gums from abrasions while the gentle gum stimulator massages to stimulate gum blood-flow and saliva production, naturally curving excessive plaque and preventing tartar built-up for up to 12 hours. Expect an outstanding plaque removal with our proprietary MicroBristleTM manufacturing process - up to 20% more bristle per square inch than regular toothbrushes. 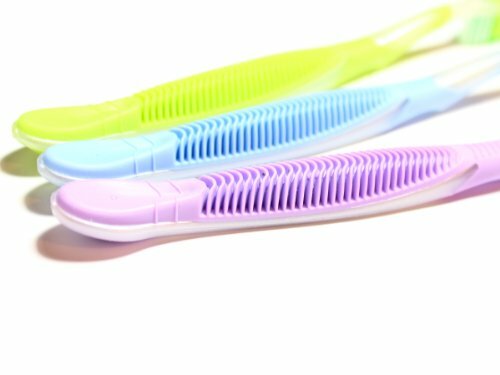 The Ultra-High bristle count allows better teeth and interdental coverage in every brush for an exceptional cleaning experience. With our slimmer (not sharper) bristle that can reach the elusive interdental plaque, this toothbrush can effectively loosen stubborn plaque in traditionally hard-to-reach places for a better dental-flossing and mouth-washing experience. Our curved gel handle and textured thumb-grip area is designed for the best in comfort and control. 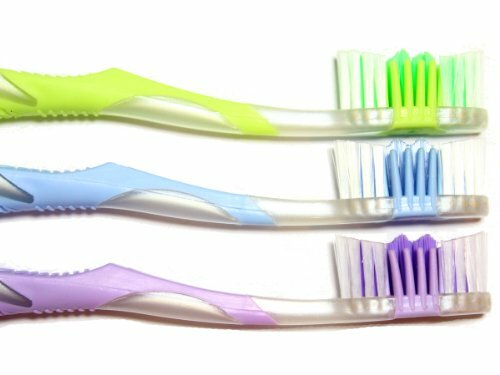 Unlike toothbrushes made with polycarbonate materials that contain BPA, our comfortable handles are made from medical grade TPE and PP resin, and our bristles are made from high quality nylon that are non-toxic ,safe and are highly recyclable resins which are good for future sustainability.